Hi friends, welcome back! I've got swatches of the Girly Bits February 2017 Colour of The Month Duo! 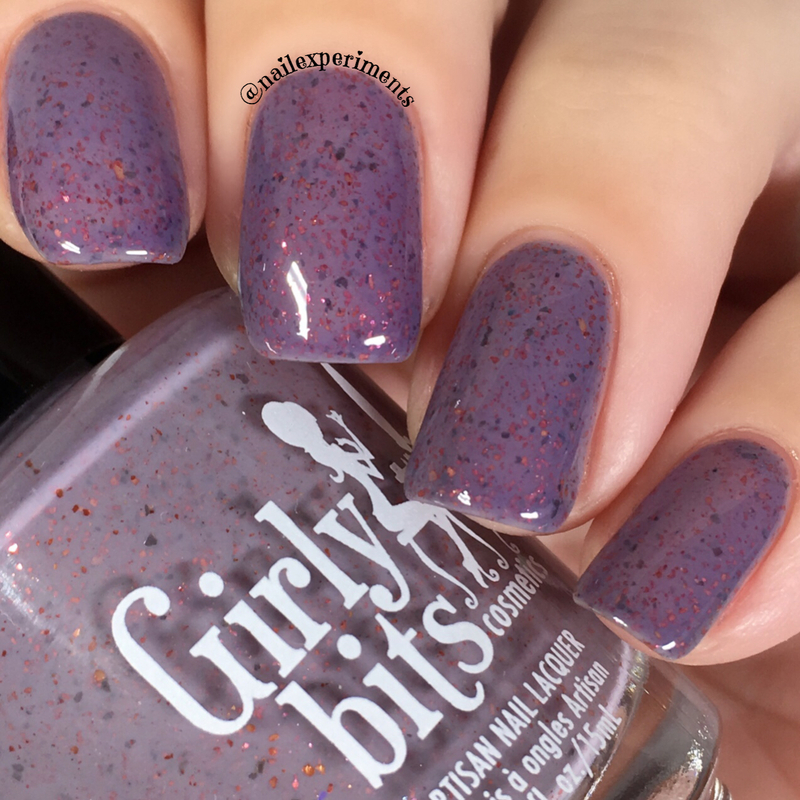 As most of you know, Girly Bits creates two limited edition polishes each month and are only available for a months time. The Girly Bits February 2018 Colour of the Month polishes will be available for purchase starting February 1st at 2pm EDT until March 1st at 11:59pm EDT. My swatch shows You Look Mauvelous in 2 easy coats, paired with Girly Bits What a Rush Quick Dry Top Coat. Once I applied You Look Mauvelous onto my nails, I quickly realized it's a tad tad darker on the nails versus what it looks like in the bottle. 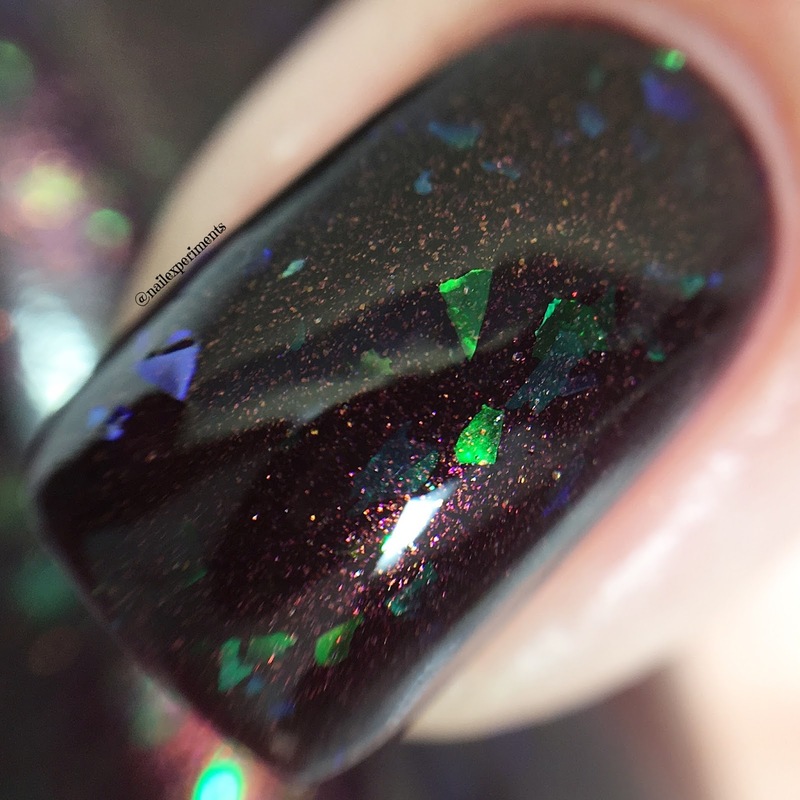 I feel the makers description describes this polish perfectly and I had zero issues with application. It's such a lovely polish and love the contrast of the red metallic flakes against the dusty purple base - very unique! 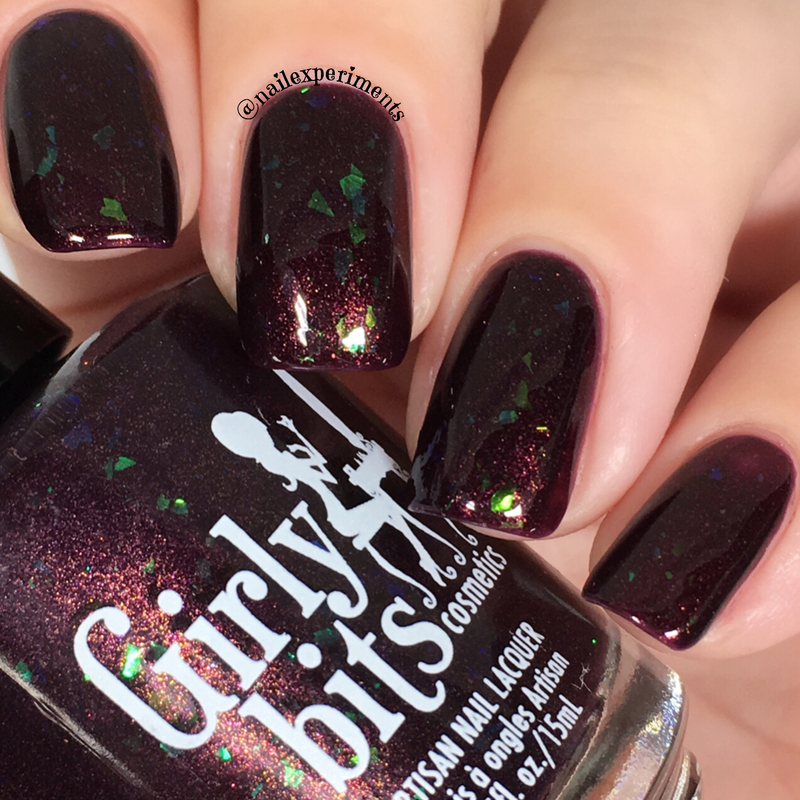 My swatch of Dark Reflection is shown applied in 3 coats, paired with the Girly Bits What a Rush Quick Dry Top Coat. I feel the makers description describes Dark Reflection perfectly and had zero issues with formula and application. 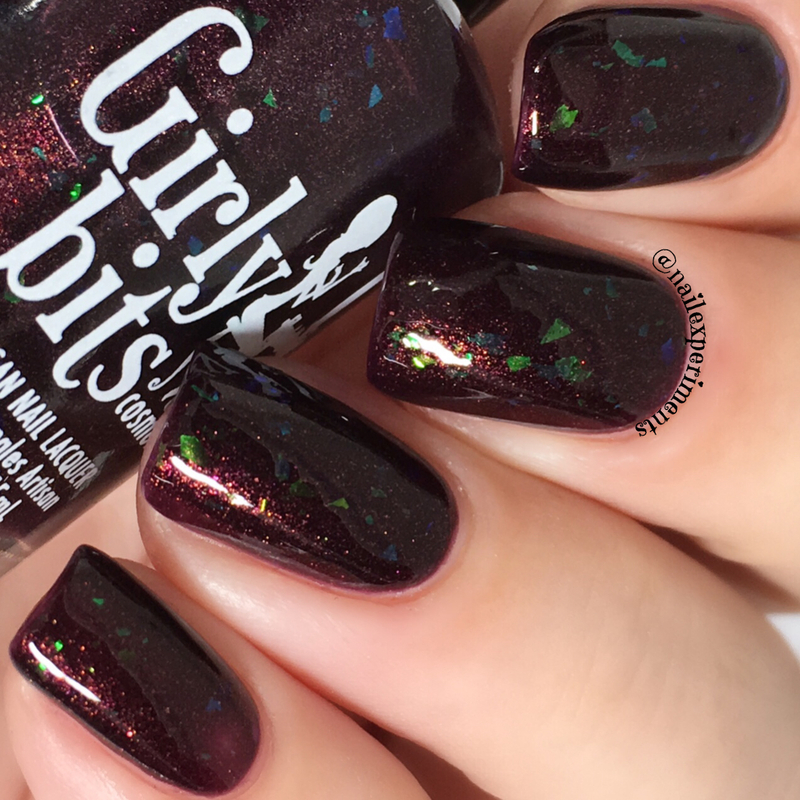 I love me a good vampy shade and this one is so stunning! Shifty flakes are always fun and I love how they pop against the maroon base! Will this lovely duo be making it's way into your shopping bag? Remember, both of these polishes are available for a limited time! Feel free to join the Girly Bits Polish Lovers Facebook group to join in on some interactive fun! Pam (owner and operator of Girly Bits) posts each months duo, members get to contribute name suggestions, and the person with the winning names receive a free full sized bottle! 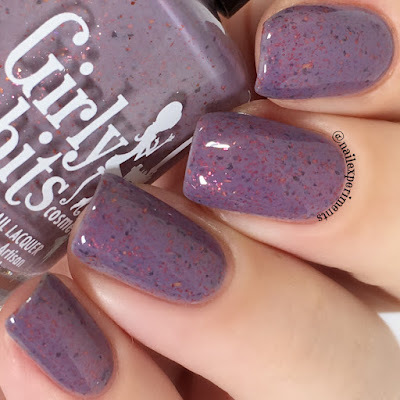 They also run giveaways and it's a great place to share your love for Girly Bits products!